What happens when you mix Mini Monsters with Two Chimps… Happy Parents! Ha-Ha; Maybe we should explain ourselves; The totally awesome children’s soft play, Mini Monsters, is now proud to be serving freshly roasted coffee in Oakham by…US! Mini Monsters is a fun filled experience for the children, their 3 story soft play structure is complete with tunnels, slides, ball pits and other crazy obstacles for children to burn off all of that never-ending energy! They also have a smaller baby area with soft bricks, rockers and toys galore. At Mini Monsters, you can visit for a few hours, book a party or even hire it exclusively for a whole load of mini monsters. They offer events on planned days such as dancing, singing and even photography sessions for the children. As for the adults- this is your time to sit back and relax with a cup of coffee. 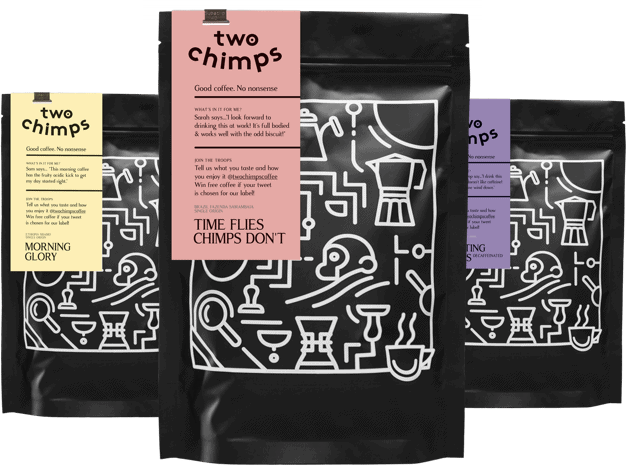 The onsite café serves healthy, home-made meals, light bites, cakes, snacks, cold drinks and now… Two Chimps Speciality Coffee. We’ve picked a smooth, sweet and creamy, single origin espresso for these guys and it works perfectly with or without milk! It is freshly roasted in Oakham too. Mini Monsters Soft Play is open 7 days a week and remember… Happy Monsters=Happy Parents! Check out where else you can Try Two Chimps Coffee!